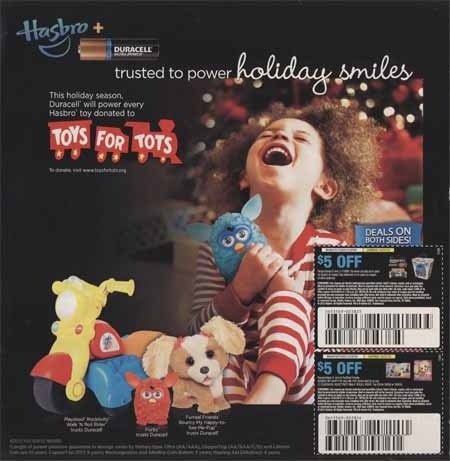 Duracell and Hasbro 'Toys for Tots': "Power a Smile"
Partnership between two for-profit organizations (Duracell and Hasbro) to support the holiday toy drive of a non-profit organization (Toys for Tots). The Duracell ad was part of its #PowerASmile campaign to make a donation of up to 1 million batteries to Toys for Tots for every eligible pack of batteries purchased. 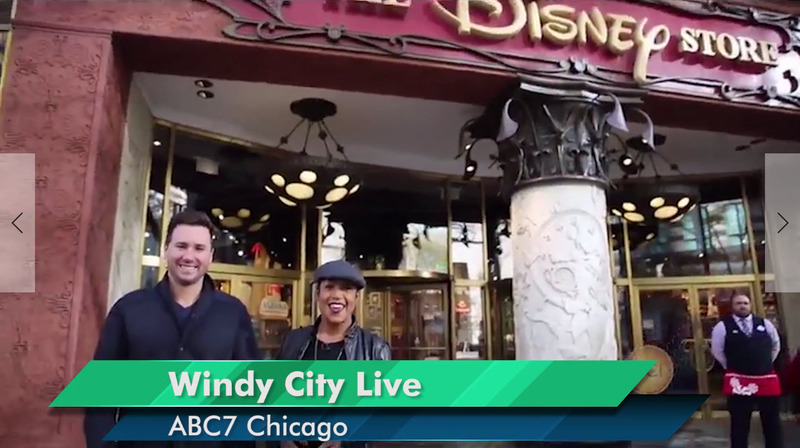 ABC7 Chicago’s Holiday Toy Drive is “presented by IHOP” in talk show and news segments. IHOP is featured as the Toys for Tots drop-off location. 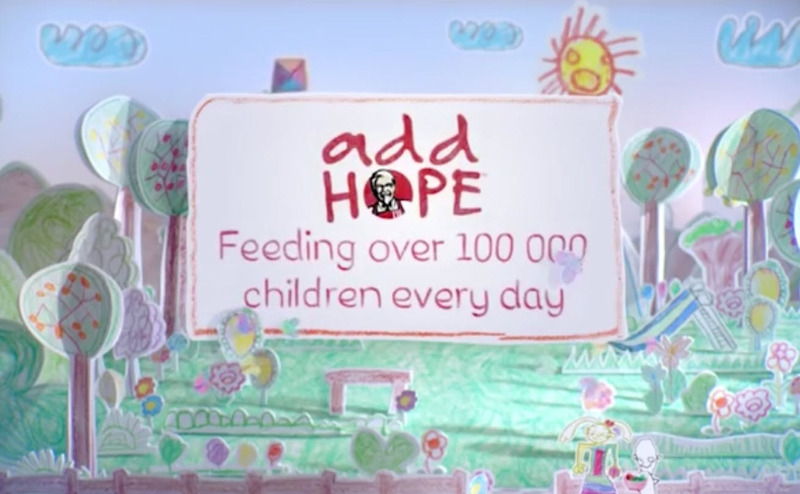 KFC 'Add Hope' Campaign: "Thank You"
KFC launched this Add Hope video to coincide with 2015’s World Hunger Month. The video reviews progress (meals for 100,000 children every day), thanks customers, and then pivots to asking for additional in-store donations. KFC 'Add Hope' Campaign: "The Story of Hope"
KFC’s Story of Hope commercial features drawings by some of the 100,000 children that the initiative feeds. 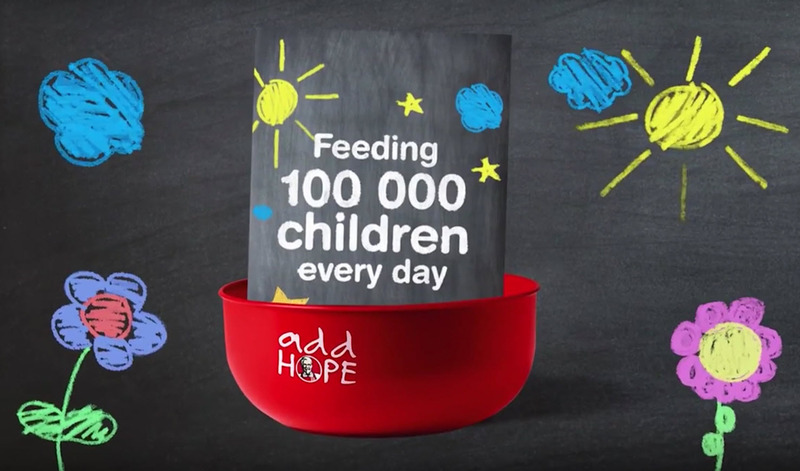 The ad shows how an undernourished child’s drawing becomes more detailed and colorful when the child is fed by an Add Hope bowl. 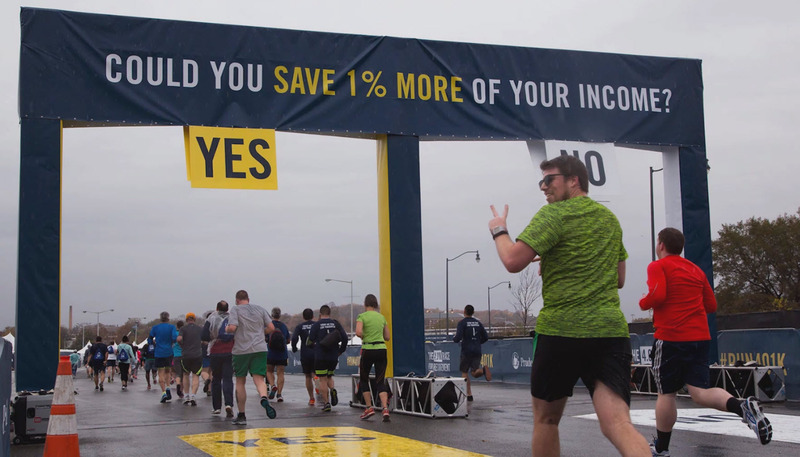 Runners at the 4.01K Race for Retirement in DC pledge to save an additional 1% for their retirement. 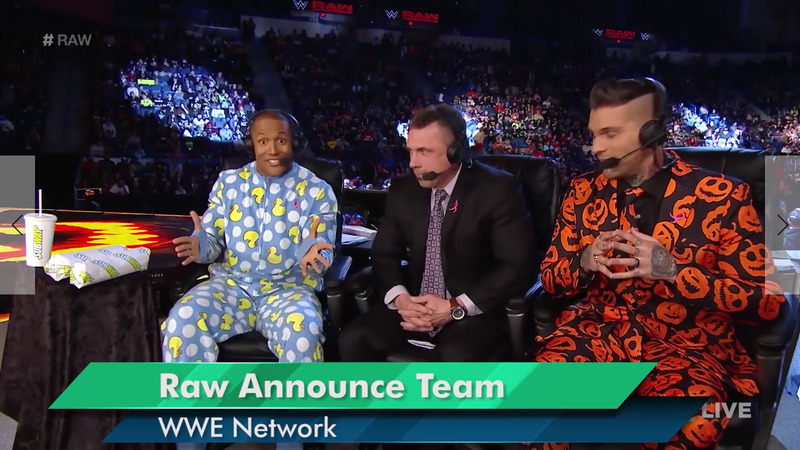 The WWE’s Raw Announce Team promotes Subway’s National Sandwich Day partnership with Feeding America. The offer: Buy any sub and a drink and get a free sub. Plus Subway will donate a meal to Feeding America for each sub purchased. 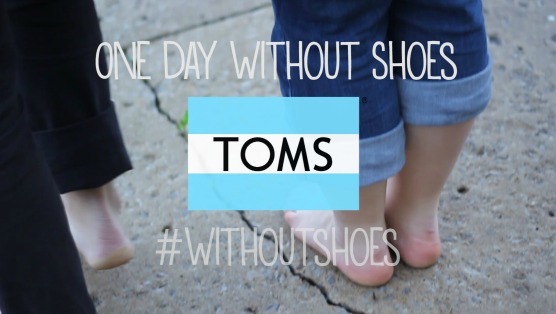 TOMS offered to give a pair of shoes to a child in need for every person who posted to Instagram a barefoot picture with the hashtag #WithoutShoes.